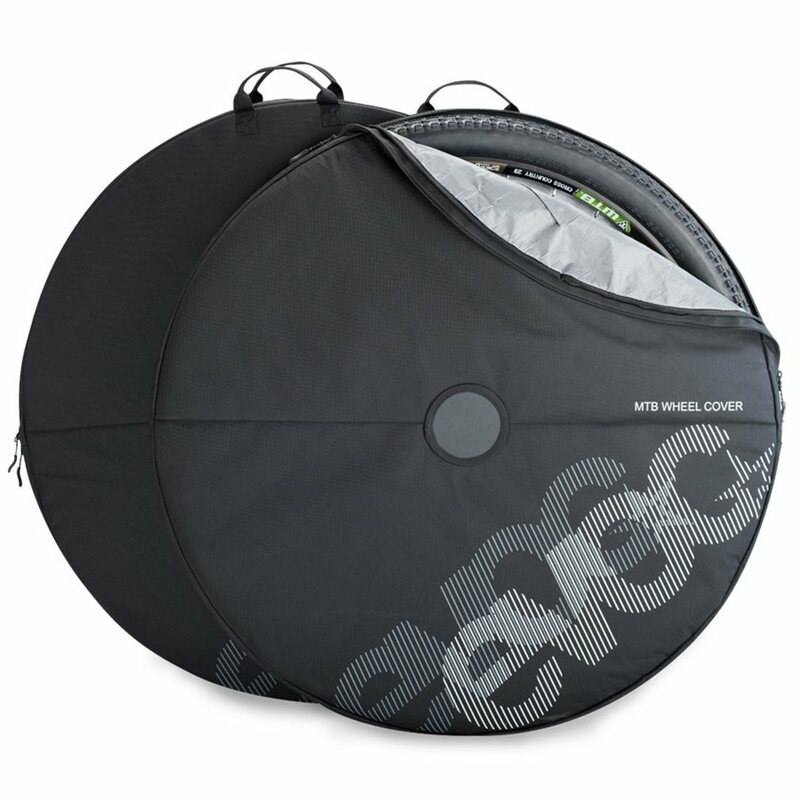 The EVOC MTB Wheel Covers make wheel transport as easy as can be. Protect your wheels and your car from damage with these heavy duty wheel covers from EVOC. A separate compartment for small parts keeps track of your QR skewers and other small essentials, and built in carrying handles make carry an awkward wheel no trouble at all. Great quality - Perfect for the intended use! These bags are well made and perfect for the intended use. No negative points that I can see. Aproved for 27.5 2.4 Continental tires fully inflated on 40mm wide Nobl rims. Could probably get 2.5 or bigger in these bags. Purchased to keep the back of my car clean when using my roof fork-mount carrier. The quality of the bag is excellent. The internal material is similar to a woven tarp, and has reinforced discs at the axle. I am able to fit my 29" wheels with 25mm internal width rims and 2.25" tires in without issue. Not sure tires could be much bigger though. There isn't really any loose material after I zip them up as is. Very happy with this purchase. Will this bag fit a 40mm 27.5 rim with 2.4 tires inflated? I have 29er with 2.25 and they fit perfectly. You shouldn't have a problem with 27.5. I like and recommend this product. I have a 29er X 32mm external width rim and 2.35 tire inflated and it barely fits... Hope that helps. I use it for 29" enve m50 with 2.2 inflated. and its snug but it workds. Yes, you can use it. This case is wide.